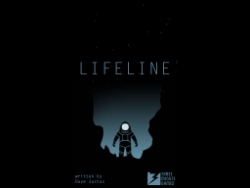 Lifeline is an iOS and Android mobile game in which you are fielding a distress call from someone named Taylor (gender never actually specified — I’ve seen some reviews refer to Taylor as male, but I pictured a woman). Taylor was the youngest, most naive crew member aboard a space ship that has crashed on a distant moon. 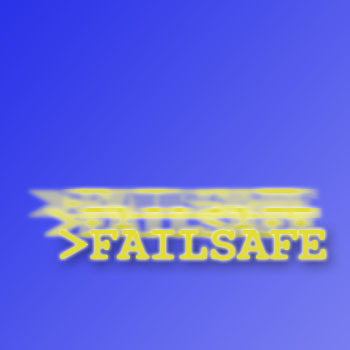 They have no previous space experience and only the most rudimentary safety training. For some reason you are the only person in communication range, so they need you to prompt them through a series of survival decisions. The story plays out in roughly SMS-sized messages from Taylor, which sometimes come in rapid succession and sometimes only after a substantial real-time delay. These exchanges are backed by atmospheric music, and though the actual content is quite bare-bones and without visuals, the presentation is glossy and solid. The premise of communicating with someone stranded is not a new one in IF — Jon Ingold’s Fail-Safe (play online) is the canonical classic in this line, but there are assorted others, including the audio game Mayday: Deep Space that I wrote about a few months ago. Structuring the interaction this way gets rid of a lot of the standard challenges about an IF game: who is the protagonist? how do we deal with the gap between what the protagonist knows and what the player knows? Besides, it sometimes comes more naturally to care about someone else’s plight than about the plight of a character who is notionally ourself. Early on, we have to respond to Taylor’s distress as they learn that the rest of their crew is almost certainly dead. Plenty of games start with the player’s avatar facing some recent grief or disaster, but it’s harder to write that kind of scene effectively from the inside, especially when the player is coming in cold. “You’ve just lost everyone you love!” doesn’t have as much impact when there’s been no time in the story to build up those loving relationships. But it’s easy enough, more or less from move one, to believe that Taylor has experienced this disaster, and to want to comfort them and keep them moving. The conversation structure works pretty well in Lifeline, especially if you don’t think about it too hard from a plot perspective. It’s really never clear at all where you are supposed to be located or why you and you alone are able to respond to Taylor, and in the later parts of the game there’s quite a lot of actual plot about whether and how it’s possible for Taylor to communicate with passing ships. But this is one of these plot questions that only arises gradually, after you’ve already accepted the conceit, after you’ve already been playing probably for several hours. The several hours part is important. Taylor’s delays while they sleep or eat or investigate a piece of wreckage create suspense and the illusion of a person who is not perennially at the player’s disposal. They also extend the experience of playing the game, increasing investment: I’m fairly sure I would not have found this nearly as interesting if I’d played it over the course of an hour or so, rather than sporadically spread across multiple days. But those delays are also problematic. Lifeline is a game with a lot of unsignalled sudden deaths. I played through twice and both times failed to save Taylor, not because I’d done anything obviously wrong, but because this is a highly deadly situation with a lot of possible failure outcomes. You need to find certain supplies and tools. If you don’t find them, Taylor will have a rough time, and you can’t necessarily predict where they’re going to be. You have a limited amount of time to move Taylor around before it gets cold and dark and they have to find a way to live through the night. It’s highly likely to be a learn-by-dying experience for most people. Lifeline does get around this (sort of) by giving the player the option to go to “fast mode” after they’ve reached a first ending, which does away with Taylor’s delays. I eventually did shift to fast mode when it seemed that otherwise it was going to take too long to finish the game, and I worked through the rest of Taylor’s adventure with so much backtracking that it might have taken weeks of real time otherwise. I definitely also felt a slackening of my investment in Taylor personally, though. The seams showed more. Lifeline occupies an awkward design space because many of the things that it does to increase believability and investment (the delays, the high-stakes options that can easily end badly) also put up friction against the player feeling mastery or (and to me this is the critical thing) fully experiencing the story. A game of Lifeline that ends with Taylor’s early death is not a complete experience. Further thoughts about the game mechanics follow the spoiler space. Lifeline also explores a mechanic I’ve frequently considered, and demonstrates the key problem with it. Early in the story, Taylor asks you to look up how dangerous it is to take a certain radiation dose. This moment of real world research is kind of cool… except that the game is a little too popular, so if you key in the obvious search terms, one of the first hits you get is a Yahoo Answers discussion in which people talk about radiation sickness in the context of the game, complete with spoilers. This is really a pity, because I otherwise quite liked that feature, especially since (if you manage to avoid spoilers) your research may make you feel more rather than less uncertain about what to say. The dosage in question isn’t fatal, but it is an amount that would cause detectable radiation sickness. Now a factual question turns into a judgment call. Is it better for Taylor to take their chances with the extreme cold, or is it more likely that they’ll survive (albeit unpleasantly) an overnight dose of warming radiation long enough to be picked up and receive treatment? It’s also one of the few moments in the game that endows the player with real authority. Most of the time, realistically, Taylor knows a lot more about what is going on than the player does, and in some cases it feels kind of surprising that they’re even willing to take our advice. Giving the player a plausible in-plot reason to know more than Taylor was cool. In fact, this ploy doubly backfired for me because it established for me as a player that it was a good idea to go off and Google things when I was confused about them and wanted more feedback for Taylor. So there came a point in the late game where Taylor confronts several astronauts with nameplates. These astronauts are actually former members of Taylor’s crew, but I’d last heard those characters’ names five or six days earlier in real time, so I’d forgotten. I was just seeing a list of names and evidence that Taylor was freaked out by them, and I found myself wondering whether they were somehow of actual historical significance. So I went off and looked them up (Adair, Antoine, Colby, Trotter)… and what I found was not a historical event relevant to the story, but this page, which strongly suggested the names had been chosen as an in-joke. In other words, both times I went to Google for what I thought were valid in-game reasons, I came back with shards of the fourth wall embedded in my face. I’m not sure I want to say this is something the game did wrong — there was no real reason for the author to anticipate my second Google search, and in the first case they’re just the victims of their own popularity, and there are worse problems to have. For a while Lifeline gives us semi-realistic stuff about finding rations and medical supplies after a space crash; then Taylor goes looking for an object on the horizon that keeps seeming to get further away as they approach, which feels sort of Lost-esque and is really only half explained by what happens later; then there’s the discovery of the awful truth, which posits alien zombie-puppeteers and concludes with a “my god the moon is full of spiders glowing green monsters” moment that took me straight back to one of my less-favorite recent Doctor Who episodes. Furthermore, the later game ramps up the tension with a lot of repeated moments where Taylor is narrating something and trails off with a dramatic OH MY GOD, requiring the player to tap back something inane like “What’s wrong?” or “What are you seeing?” in order to get the news. Once or twice, that’s effective; over and over and over again, it feels manipulative and predictable, like all the ellipses during action scenes in a Harry Potter novel. There were some good moments of horrific discovery, like when Taylor’s rat dies, or when Taylor is scanning the moon and pans out and out and discovers that the whole surface is carpeted with wrecks of ships from various time periods, but I also felt sometimes that the story was making the action-movie bargain of setting up spectacular moments by discarding long-term plausibility. (This is almost always a worse bargain in text games than it is in a movie.) I generally have a hard time believing in the alien puppeteer trope in which some species has evolved on a distant planet, isolated from humanity, and yet somehow evolved specifically in order to be able to command and control human bodies. How would that come about? But never mind. Like I said, that’s not really the point. The point here is about the emotional experience, the journey you go on with Taylor. Here’s what’s good about the alien-puppeteer trope in this particular game: it gives you an opponent for dominance over Taylor. By the time you get to the endgame, you’ve been manipulating Taylor for days. Occasionally they may have rejected a suggestion, but most of the time, you’ve been allowed to cajole or bully them into difficult or outright stupid decisions. Leaving crewmembers unburied because there’s no time for such things. (Maybe in retrospect that actually would’ve been a good idea…) Going on long treks towards the horizon with inadequate gear. Ignoring or exploring the scuttling beings in the dark. You push Taylor, you supply the deficiency when Taylor’s reserve of willpower looks like giving out, you make choices when they’re too exhausted to do any more. This may get them killed or it may keep them alive. As the story goes on, though, it feels more and more difficult, because Taylor increasingly questions your instructions or asks permission to double back on a decision already made. The increasingly longwinded arguments you have with Taylor are the equivalent of button-mashing exercises in a QTE context (press A repeatedly to kick grate! ): they represent effort. And then at the end, something else makes a bid to control Taylor, and Taylor’s will and personality becomes the battleground in which you’re confronting your opponent, this malign alien entity. You’re pretty evenly matched. What’s the player, after all, but an immortal puppeteer, repeatedly clothing itself in the bodies of disposable avatars? Overall, then, there were some things about Lifeline I thought were non-ideal, and at the same time the experience was cumulatively more than the sum of those plot and design decisions. This entry was posted in commercial IF, CYOA, interactive fiction, mobile platforms, Reviews and tagged popular by Emily Short. Bookmark the permalink. Are you sure about Android? I don’t see it anywhere, but maybe I’m not looking in the right place. Ack! I could’ve sworn that I read somewhere it was, but now I’m not finding it either. I’ll cross that out above. I think it’s actually newly out on Android since this blog post was published, but yay, anyhow!